Shamrock Shake season is upon us! Our cool, minty shake is even creamier and more delicious than the fast food version and you can make it all year round! It’s that time of year when everyone heads for the McDonald’s drive thru window to get their Shamrock Shake. The seasonal green mint flavored shake is a family favorite around St. Patrick’s Day, but it can get pricey when buying them for the whole family. So we came up with our own version to make at home and it’s even yummier than the original! Our Shamrock Shake recipe comes from experimenting over and over again to get it just right. We made several versions and compared them to the McDonald’s shake, tweaking ingredients and amounts each time. The end result is a creamy, rich, slightly minty shake made with real ingredients that you can find at your regular grocery store. 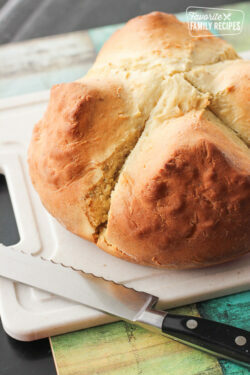 Try this recipe for yourself and see how easy it is to whip up a batch at home! Not only does our creamy version taste better than the McDonald’s variety, it has fewer calories too. A McDonald’s small Shamrock Shake has a whopping 530 calories, and a large is 820 calories! 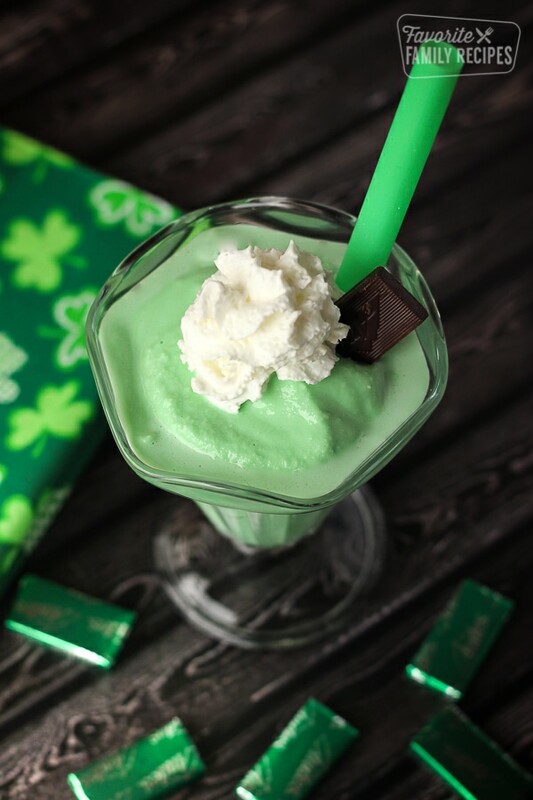 Our shamrock shake recipe uses low-fat vanilla ice cream (we love Dreyer’s Slow Churned), fat-free milk, and a bit of real sugar which actually keeps the calorie count way down, and it tastes so rich and creamy. Anyone who tries this recipe prefers it over the Shamrock Shake from McDonald’s. 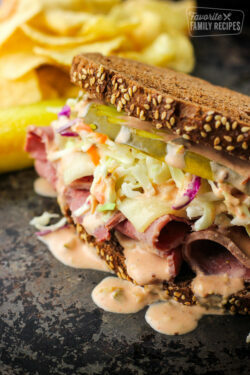 And the best part is that this recipe is only 230 calories for a 12 ounce serving! For an even creamier texture, swap low-fat ice cream for regular ice cream. The real ice cream texture is what makes this shake thick, creamy and oh so delicious! It took a lot of trial and error to get just the right amount of mint flavoring. Too much can make it taste like toothpaste. To little and the mint flavor gets lost in the vanilla. Trust us on the amounts of mint extract (see recipe card below). If you want it a bit more minty, feel free to add more peppermint extract but add a little more sugar too. 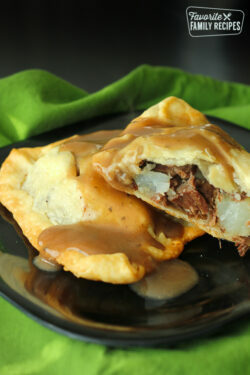 You could turn this St. Patrick’s Day treat into a delicious and easy dessert for any time of year! Serve them with green and red sprinkles at Christmastime, or use red food coloring to create a delightfully pink Valentine’s Day dessert. 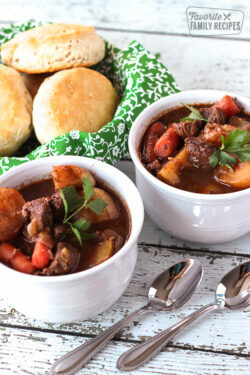 Anything goes with this recipe! Turn this into a chocolate mint shake by adding chocolate syrup at the bottom of the glass before pouring the shake, then drizzle with more chocolate syrup. Delicious! Mix all ingredients in a blender until smooth in consistency. Top with whipped cream and sprinkles, a chocolate mint, or a maraschino cherry.